We're a tiny team and are looking to deploy a handful of open source web apps. Being able to deploy these pre-packaged VMs (or simple to install stacks) quickly is very appealing. We don't have strong Linux skills(we're a windows shop) and this has been a deterrent in the past but the quick and easy set-up seems to minimise time cost. We're also looking at simply paying for decent webhosting and using something like installation or solicitous to manage them but we want some of these applications to be internal only so this is not as ideal. Has anyone had much experience using these VM appliances in the past? 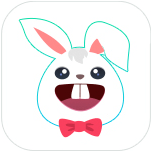 TUTUApp is a free third-party app store for Android, iOS and PC. Download TUTUApp VIP to enjoy a fast and better app store experience with no ads, less app revokes and great support. Hi @josejemmy, we have a library of applications available in multiple cloud platforms (AWS, Google, Azure, Oracle, ...), updated and secured by default and ready for production use. We also offer Debian VMs (in .ova or .vmdk formats) and installers, which you could use if there isn't any cloud image available for your hosting. Once you've deployed your installation and you need to manage it (e.g. upgrade, backup, install plugins, etc. ), you can always check our documentation for the different platforms, or contact us via our community (like you did in your post), and we'll do our best to help you.